An individual that applies for Social Security Disability is referred to as the Claimant. If the Claimant is initially denied disability benefits by the Social Security Administration, then the Claimant can appeal the decision within sixty (60) days of that denial. The appeal will be heard by an Administrative Law Judge. The Judge will follow the five (5) step process laid out below to come his or her final determination on whether or not to award benefits. Whether the Claimant is engaging in substantial gainful activity (SGA)? SGA is defined as work activity that is both substantial and gainful. Substantial work activity is work activity that involves doing significant physical or mental activities. Gainful work activity is work that is usually done for pay or profit, whether or not a profit is realized. Additionally, a Claimant cannot earn over $1,170 per month in 2017 and be eligible for disability benefits. The maximum amount a Claimant can earn changes on yearly basis. Whether the Claimant has a medically determinable impairment that is severe or a combination of impairments that is severe? An impairment or combination of impairments is severe within the meaning of the regulations if it significantly limits an individual’s ability to perform basic work activities. 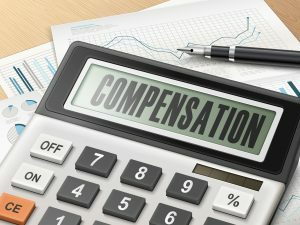 Whether Claimant’s impairment or combination of impairments is of a severity to meet or medically equal the criteria of an impairment listed in the regulations? If a Claimant meets a listing in the regulations, then he or she is considered disabled. If a Claimant does not meet a listing, then the Judge will move on to step 4. Before the Judge moves to step 4, the Judge must determine the claimant’s residual functional capacity (RFC). RFC is the claimant’s ability to do physical and mental work activities on a sustained basis despite limitations from his impairments. The Judge must consider all of claimant’s impairments, including impairments that are not considered severe. 1) Whether the Claimant has an underlying medically determinable physical or mental impairment(s)? This means an impairment that can be shown by medical records and diagnostic testing that could reasonably be expected to produce the claimant’s pain or other symptoms. 2) If the answer to number 1 is yes, then the Judge evaluates the intensity, persistence, and limiting effects of claimant’s symptoms to determine the extent to which they limit the Claimant’s ability to do basic work activities. Whether the Claimant has the residual functional capacity to perform the requirements of his past relevant work? Past relevant work is work performed (either as claimant actually performed it or as it is generally performed in the national economy) within the last 15 years or 15 years prior to the date that disability must be established. If the Judge finds the Claimant has RFC to do past relevant work, then the Claimant is not disabled. If the Claimant cannot perform past relevant work, then the Judge will move to Step 5. Whether claimant is able to do any other work in the national economy considering Claimant’s RFC, age, education, and work experience? In order to support a finding that is an individual is not disabled at this step, the Social Security Administration is responsible for providing evidence that demonstrates other work exists in significant numbers in the national economy that the claimant can do, given the RFC age, education, and work experience. If the Social Security Administration does not provide this evidence, then the Claimant is disabled. Applying for and obtaining Social Security Disability benefits can be a difficult and time consuming process. A Claimant should discuss his or her claim with an experienced attorney.